The birth of the Gamburtsev Subglacial Mountains buried beneath the vast East Antarctic Ice Sheet — a puzzle mystifying scientists since their first discovery in 1958 — is finally solved. The remarkably long geological history explains the formation of the mountain range in the least explored frontier on Earth and where the Antarctic Ice Sheet first formed. The findings are published this week in the journal Nature. 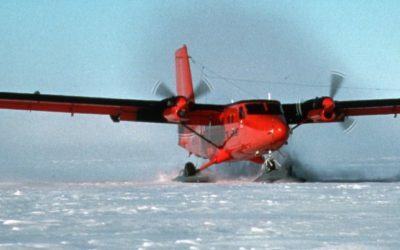 A seven-nation team of scientists explored the Gamburtsev Subglacial Mountains — buried beneath up to 3km of ice — during the International Polar Year (2007–09) by using two twin-engine aircraft equipped with ice penetrating radars, gravity meters and magnetometers. By analyzing the new data, the researchers describe the extraordinary processes — which took place over the last billion years — that created and preserved a root beneath the mountains and the East Antarctic rift system — a 3,000km long fracture in the earth’s surface that extends from East Antarctica across the ocean to India. One billion years ago, before animals and plants evolved on Earth, several continents (or micro-continents) collided, crushing the oldest rocks of the mountain range together. This event formed a thick crustal root extending deep beneath the mountain range. Over time these ancient mountains were eroded but the cold dense root was left behind. Around 250–100 million years ago — when dinosaurs walked the Earth — rifting paved the way for the supercontinent Gondwana to break apart, which included Antarctica, causing the old crustal root to warm. This rejuvenated crustal root, together with the East Antarctic Rift forced the land upwards again reforming the mountains. Rivers and glaciers carved deep valleys and this helped uplift the peaks to create the spectacular landscape of the Gamburtsevs, which resemble the European Alps. The East Antarctic Ice Sheet, which formed 34 million years ago and covers 10 million km2 of our planet (an area the size of Canada), protected the mountains from erosion. 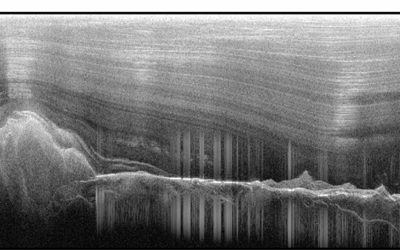 These discoveries in central East Antarctica have significant implications for understanding mountain building and ice sheet evolution within continental interiors. 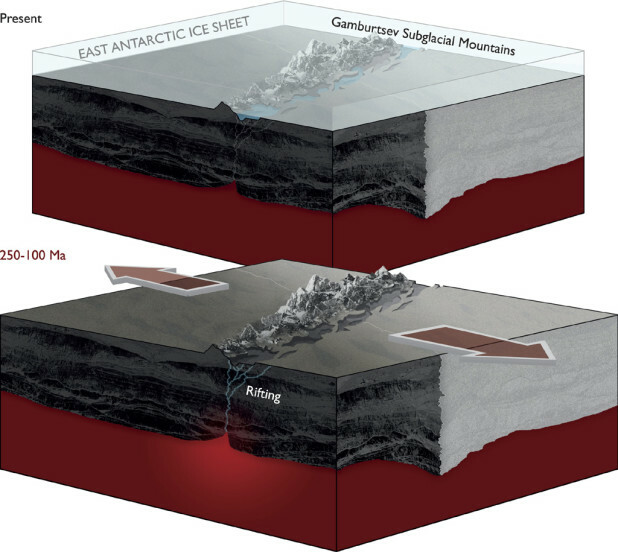 Schematic showing that proposed rifting processes within the East Antarctic Rift System provided the tectonic trigger for uplift of the Gamburtsev Mountains. The paper — East Antarctic Rifting Triggers Uplift of the Gamburtsev Mountains — is published in Nature by Fausto Ferraccioli, Tom Jordan and Lester Anderson of British Antarctic Survey; Carol Finn from the US Geological Survey; Robin Bell from Lamont-Doherty Earth Observatory — part of the Earth Institute at Columbia University; and Detlef Damaske of the Bundesanstalt für Geowissenschaften und Rohstoffe in Germany. 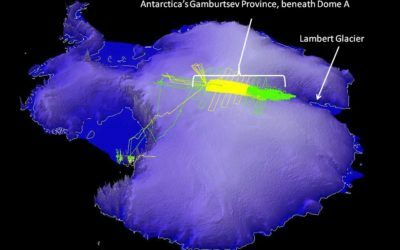 For around two and a half months in 2009, two science teams carried out an aerogeophysical survey of Antarctica’s Gamburtsev Province (AGAP). 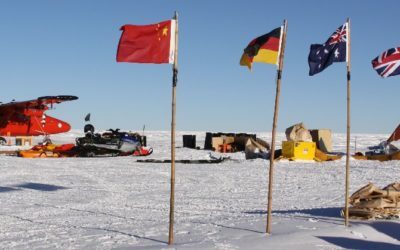 The British Antarctic Survey and Australian Antarctic Division teams worked from one of the deep-field camps known as AGAP North. The US-German-Japanese science teams worked from AGAP-South. The work was funded by grants from the U.S. National Science Foundation and was launched in conjunction with the International Polar Year, an effort to study the Arctic and Antarctic spanning 2007–2009 and involving research by thousands of scientists from more than 60 nations. Support also came from the Natural Environment Research Council of Britain and the British Antarctic Survey, the Federal Institute for Geosciences and Resources in Germany and the Polar Research Institute of China. 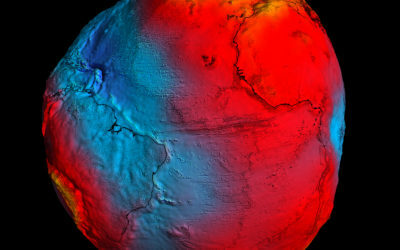 Gondwana — was one of two ancient supercontinents produced by the first split of the even larger supercontinent Pangaea about 200 million years ago. The supercontinent included most of the landmasses in today’s Southern Hemisphere including Antarctica, South America, Africa, Madagascar, Australia, and the Indian subcontinent. International Polar Year 2007–2009 was the largest coordinated international scientific effort for 50 years. Featuring more than 200 Arctic and Antarctic projects, IPY involved 50,000 people — including scientists, students and support staff — from more than 60 nations. Together, they set out to discover more about the Polar Regions and their critical influence on the rest of the planet.